Many of you have been asking me the reason of my absence from the blogging world. Well, I have been super busy lately. New life in Mumbai is really fun, happening and yes, exhausting. I have to travel 6 hours each day and trust me, travelling in Mumbai suburban trains is absolutely tell-a-tale. Color your lips with this richly pigmented color stylist lip pencil that has long lasting formula containing anti-oxidants and vitamins. Having staying power of up to 12 hours. It keeps the lips hydrated and smooth. They come in color-coded, twisted chubby lip pencil form. The cap shuts snugly and thus is travel-friendly. The pencil carries all the necessary product information. Seduction:- It is a super gorgeous and sultry red with prominent warm undertones. Coral:- A true shade of coral. Looks super pretty and is very wearable. It would suit a wide range of complexions without the fear of looking washed out. 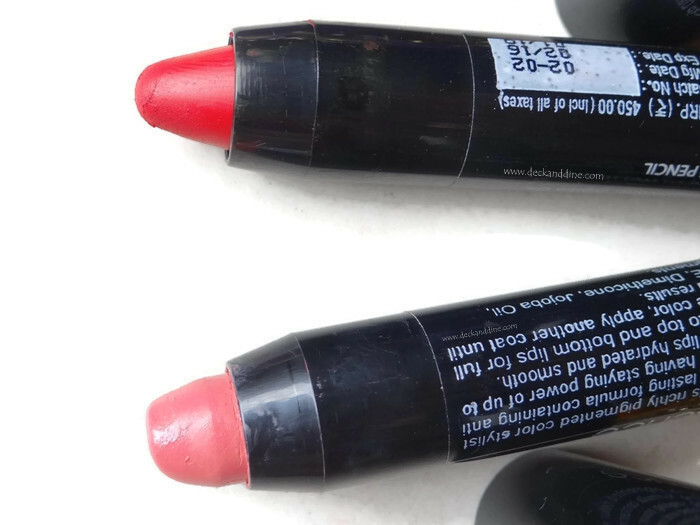 Both of them have beautiful creamy texture and feel light on lips. The finish they render isn't exactly matte at first, but don’t get disappointed; wait for a while and you will have gorgeous matte finish which will not move throughout the day. They never feel drying on lips. Both of them are well pigmented, especially “Seduction”, it is crazily pigmented. The staying power of seduction is 8+ hours. 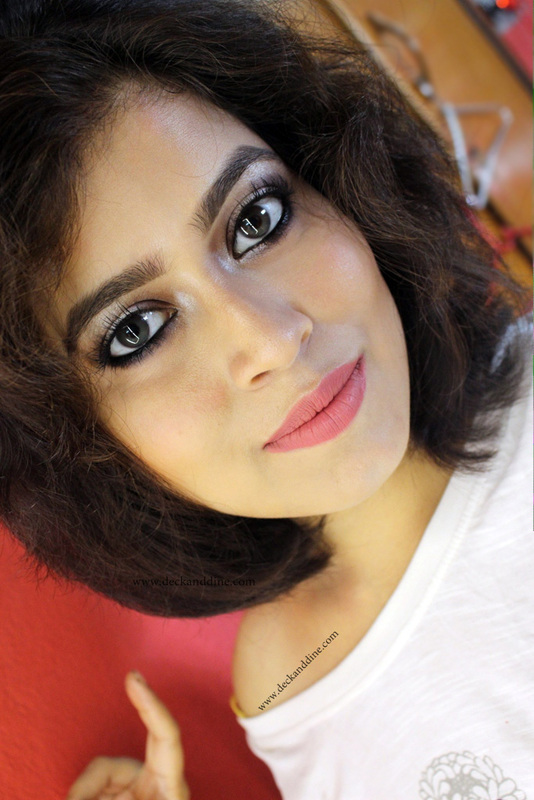 The color looks fresh and gorgeous even after hours and hours of application. It leaves a very strong tint behind. “Coral” stayed on me for about 4 hours and left a pretty pink stain behind. But "Coral" doesn't stay more than 2 hours on my friend. Strange, ehh..!! Glides well without tugging or pulling lips. Settle in comfortable matte finish. Removing the stain of “Seduction” is a task. "Coral" doesn't last that long. “Coral” looks patchy after the first meal. 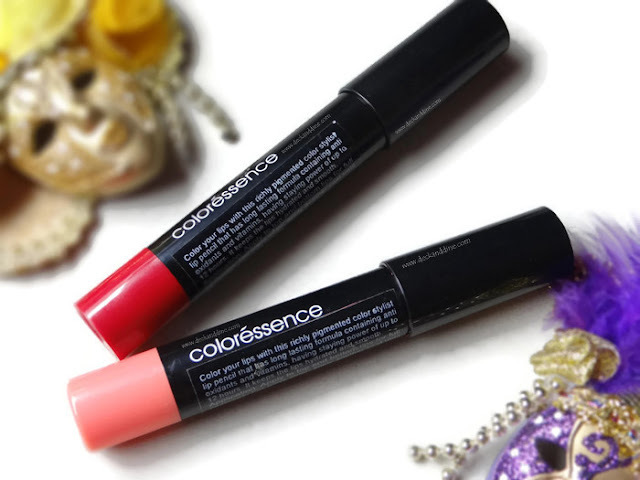 I didn't expect much from Coloressence while trying these two; but I am truly happy with “Seduction”, it is worth the buy. 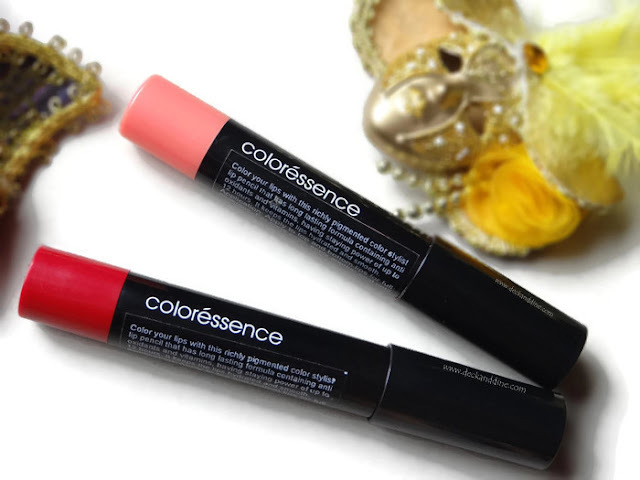 So have you ever used any Coloressence High Pigment Matte Pencil? Let us know..
Seduction is truely a gorgeous shade. Lovely review.